Sharpshooters Elite Basketball is TechSoup Certified, GuideStar Certified, SAMS Certified for non-profits and a member of Delaware Alliance for Nonprofit Advancement (DANA). Donate and help keep our program sustainable for our student-athletes! Sharpshooters Elite Basketball is a 501c-3 non-profit AAU Affiliate and USA Basketball Youth Certified. For more information, contact us via email at SharpshootersElite@verizon.net. Tryout Fee is $30.00 for all players. Cash or Check payable to Sharpshooters Elite Basketball is accepted, as well. Practices are open to any and all newcomers from Middle School and High School are welcome. We add players to particular teams at any time. Basketball Skills Camp continues on Monday, July 9, 2018 at Newark High School. Bring Lunch and water bottle. Weekly or Daily Rates Available. Please email your request or just walk-in at camp. Congratulations to the following high school teams that made the 2017 DIAA State Basketball Tournament. Many of our players, coaches, and volunteers are assisting with the 2016 DIAA State Tournament. More information will be released soon to our new programs as the accreditation process is near completion. CONGRATS to Sharpshooters Elite Basktball Coach Chelsea Davis signs a professional basketball contract for a team in the Spanish League. 10% Multi-Week Discount when paid in full. After Registration, click on PayPal button to make payments. If paying by check, make check payable to Sharpshooters Elite Basketball. 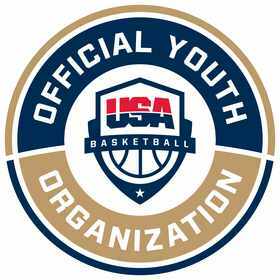 CONGRATULATIONS to the staff and coaches that successfully completed and passed all USA Basketball course work and clearance. The Monday Club Sharpshooters reach the finals of the Gold Division of the New Castle County Girls High School Championship coming back from 12 down with 9:15 left in the game to win 37-36 in the semi-final game. Championship game is schedule for next Tuesday at 6:30 pm at Caravel High School. Good Luck in the Big Dance!! Former Sharpshooter Jade Wharton and Howard High School star, finished her two year junior college career and announce her signing to a Division 1 school in the deep south. Great Job!! Good Luck To Our Sharpshooters in the Big Tournament!! For the second straight year, our 10th Grade Boys AAU team win a bronze medal at the Mid-Atlantic AAU District Championships. 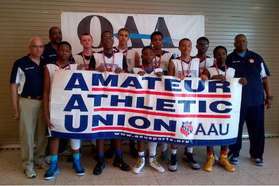 By doing so, gives the team entry in the AAU D-3 National Championship in Hampton, Virginia July 1st - 5th. 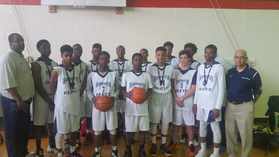 Sharpshooter Elite Boys are the Bronze Medalist in the MidAtlantic AAU Division III Championships! 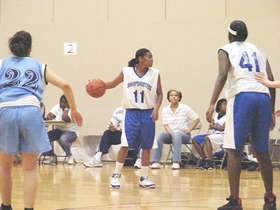 They will travel to Hampton, Virginia in July to participate in the AAU-Division III National Championship Tournament.